Credit Reports - Unlimited credit report disputes, corrections, and removals with Equifax, Experian, and TransUnion. Pay as you go, cancel anytime, and peace of mind with our no-risk refund policy. Our Bronze level of service offers all the credit report repair essentials. This tried and tested dispute service is ideally suited for individuals solely interested in challenging specific items on their credit reports. The suite of tools and features found in the Bronze service are incorporated into the Gold and Platinum service as well. Unlimited disputes, corrections and removals - We dispute directly with Equifax, Experian, and TransUnion. Irrespective of the service level you choose and the number of negative items we dispute, correct, or remove from your credit reports, you pay only one low monthly fee. 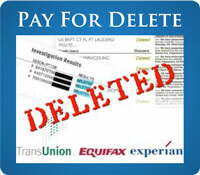 Avalon Credit is not affiliated with any credit reporting agency. Monitor your progress online 24/7 - All progress on your case is documented electronically and accessible online through our client login. This allows you to monitor your case as it evolves, provides access to our manager system which gives you unprecedented control over each dispute cycle, and keeps you abreast of all changes to your case file to ensure you always know exactly what you're paying for. Pay as you go - Avalon Credit does not require any pre-payments, nor will you be charged on a per-dispute or per-correction/removal basis. Avalon Credit will bill you once a month for services performed the previous month, and will never charge you in advance of services rendered. For your convenience, we accept payment by credit card or by automatic draft from your checking account. Cancel anytime - To retain us you complete an agreement which outlines the terms of your agreement with us. However, you will not be contractually required to any specific time frame. 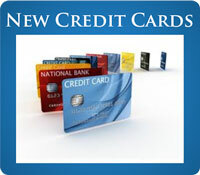 Avalon Credit allows you to cancel the service at any time without penalty or future obligation. Refund policy - We offer a refund policy under which we will refund some or all of your fees should you receive no improvement on your credit reports despite your active participation. Put simply, you shouldn't have to pay for ineffective service.